It's here! The January issue is arriving in subscriber mailboxes with a bright burst of new-year freshness! 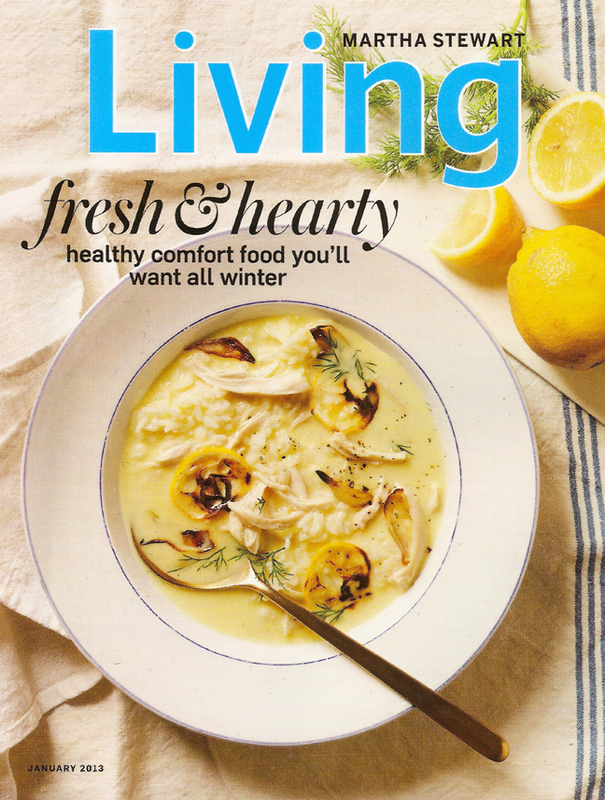 In this issue: warm winter soups, Darcy Miller's craft room, a cozy winter brunch, a visit to Woodstock, gardener Dan Hinkley. I haven't had a chance to read through it closely yet, but it looks like a lovely issue! There are two covers being printed for this issue. The first is for subscribers and the second is for the iPad and newsstand. 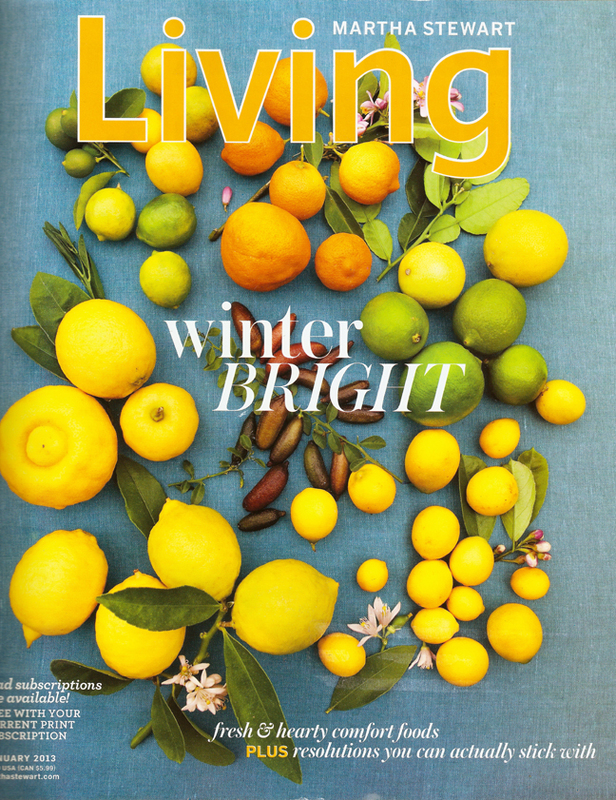 I haven't received my issue, but I love the colors on the cover - very bright for January. Martha is on the cover of a magazine I think called Success and another article in maybe AARP? Is here any way to follow find articles about her?? I like both, haven't received the print or digital yet. I was surprised to read that Everyday Food has been discontinued.